This scribble was published on Sunday, June 9th, 2013. You can follow any banter on this scribble with the RSS 2.0 feed. You can share your inspired musings after typing the anti spam word near the bottom of the page. But no Pinging because its too naughty. 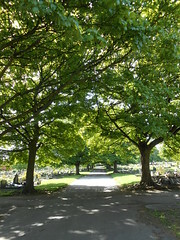 This reminded me of the old Reading Cemetery (which I think you live close to). I very occasionally wander through it (not for some years, I must admit).. Someone once told me it was the largest cemetery in Europe – can that be true? Hi Tim Reading Old Cemetery at cemetery junction was built about 50 years earlier than Sheffield cemetery, both of them are “Garden” cemeteries – designed to be pleasant places for the living to walk and be. 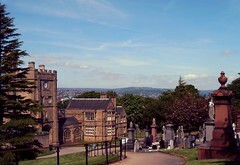 Reading cemetery is 11.5 Acres, that’s just over one tenth of the size of the Sheffield city Road 100 Acre cemetery. 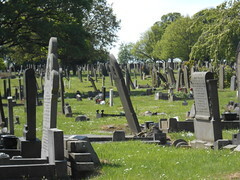 It’s rather small compared to UK city garden cemeteries.